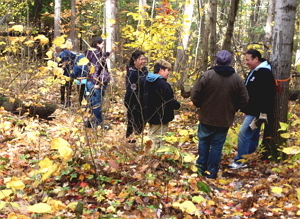 The Understanding Ecosystems and Protecting Indigenous Knowledge Project engaged a Knowledge Holder and Indigenous youth by organizing several field trips that focused on teaching and documenting Indigenous ecological knowledge in both English and the Aboriginal Ojibway language. 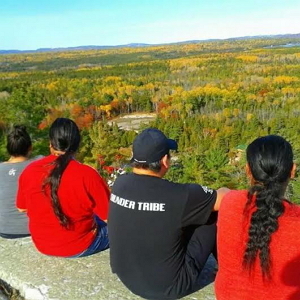 The Knowledge Holder teaches during the field trips, while the project advocates act as liaisons between the Knowledge Holder and Aboriginal youth. The Silverhill Institute role is collaborating with the host communities in documenting and publishing the curriculum of the Indigenous ecological knowledge that is documented. Organize seasonal field courses in First Nations communities throughout Canada where Elders will teach Indigenous ecological knowledge to local students in both their Indigenous language and in English. Facilitate the transfer of Indigenous ecological knowledge from community Elders to Aboriginal youth. Identify challenges and opportunities for the conservation of Indigenous ecological knowledge. Collaborate with Indigenous communities in developing and implementing curriculum focusing on Indigenous ecological knowledge for use beyond the project term. Publish a field course manual, program curriculum, and an evaluation that will be made accessible to Indigenous and non-Indigenous educators in both English and the Indigenous languages. As a collaborative project, we will work closely with both Elders and project advocates (local teachers) in the communities where the project will be implemented. The Elders will teach during the field courses, while the project advocates will act as liaisons between Elders and Aboriginal youth. The Silverhill Institute will be responsible for collaborating with the host communities in documenting and publishing the curriculum and Indigenous ecological knowledge.